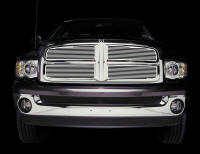 No payments or interest for six months on orders of $99 or more! 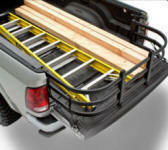 PickupSpecialties offers a wide selection of truck accessories and SUV accessories with excellent customer service. 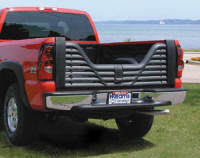 We have all hottest new truck accessories such as Tonneau covers, nerf bars, tool boxes, and cargo slides. 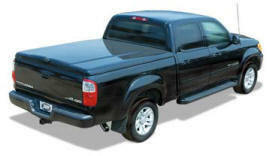 Low priced and available for most domestic and import vehicles! 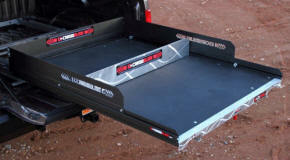 Truck Bed Slides by Cargo-Ease, BEDSLIDE, Cargo Glide and Gorilla Slide! 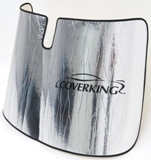 Free Shipping and Low Price Guarantee! 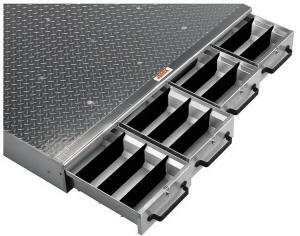 Cargo Management Bars and Gates, Bed Organizers, Nets, Bed Extenders and more! 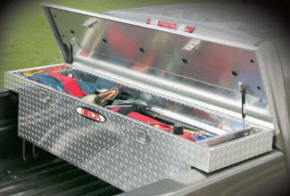 TruckVault manufactures the finest in-vehicle equipment storage solutions in the world. 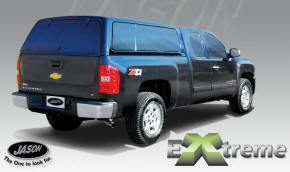 Whether you drive a SUV, SUT, pick-up truck, sedan, van or your own custom rig. 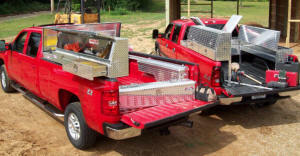 Contractors tell us they use their trucks fitted with the Pickup Pack™ as their mobile business office and keep tools and inventory for the job locked up in it, ready to go when needed. 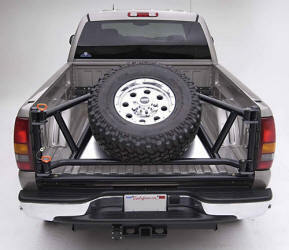 The Pickup Pack™ can also be customized to meet your special needs. That's one of our specialties. Imagine a storage unit built just for you. 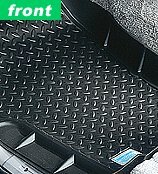 Check out our selection of molded, logo,and custom floor liners and floor mats! 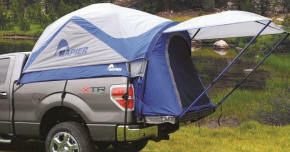 Click Here for Tailgating Stuff! 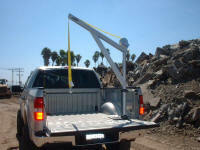 Spitzlift Portable Truck Crane Spitzlift, the world’s lightest portable truck hoist, sets up in less than a minute, weighs 30 pounds and has a lifting capacity of 900 pounds. 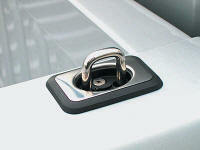 The latest Truck Accessories at great prices are at Pickup Specialties! 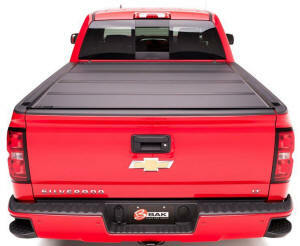 Find great deals on the Tonneau Covers, Bed Covers, Truck Steps, Nerf Bars, Mud Flaps, Towing Accessories, Grille Guards, Bull bars and much more. 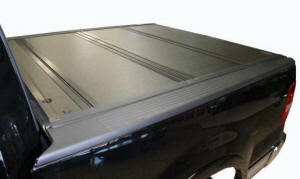 We offer huge selection provide easy online ordering and superior customer service. 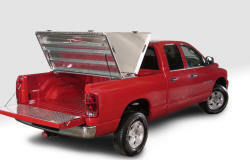 At Pickup Specialties, we've been doing truck accessories for over 30 years and our sales staff can help you with any questions for your ride 888-590-4769 or visit our store in Houston Texas! If you can't find it on our site, give us a call toll free at 1-888-590-4769, and we'll be happy to help you find the stuff for your truck or SUV that you're looking for! 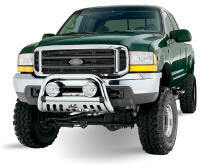 Powered by Leonard Truck Accessories. ©Copyright 2017 LAUB Holdings, LLC. All rights reserved.